Scooper - Technology News: Are you ready for the jobs revolution? Are you ready for the jobs revolution? Welcome to the age of uncertainty. Never has it been harder to predict what our working futures hold and arm ourselves accordingly, as technological advances, an ageing workforce and the rise of the sharing economy cause new jobs to appear as fast as others vanish. 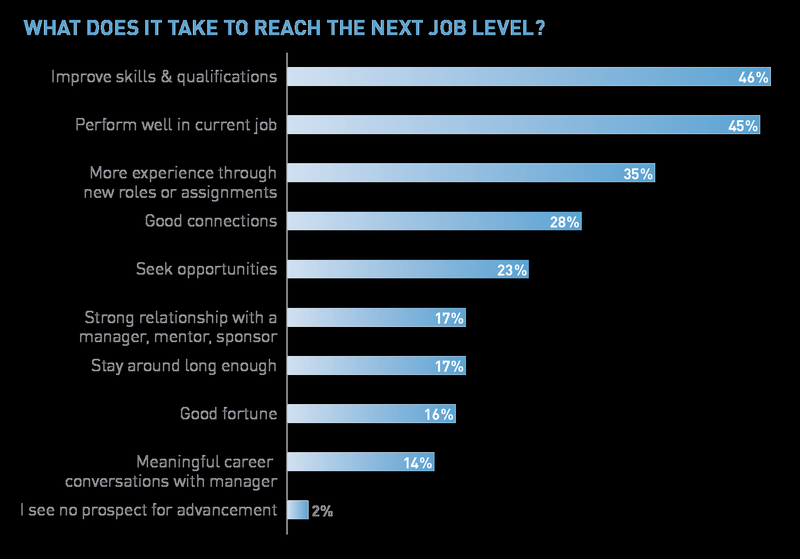 Traditional career paths are on the way out, say the experts, with jobs-for-life replaced by a new expectation among younger workers that they might hold 11 or more jobs throughout their lives, according to Karin Klein of Bloomberg Beta . This is the new gig economy, and it’s gaining ground. In its wake has come a culture of short-termism, an on-demand approach to work which is spreading through professions and occupations, causing a rise in freelance work and part-time jobs. But with these technological and cultural shifts come fresh opportunities. New and unexpected jobs are being created all the time, writes author Laurent Haug , whether it’s social media consulting, space law or data analysis. 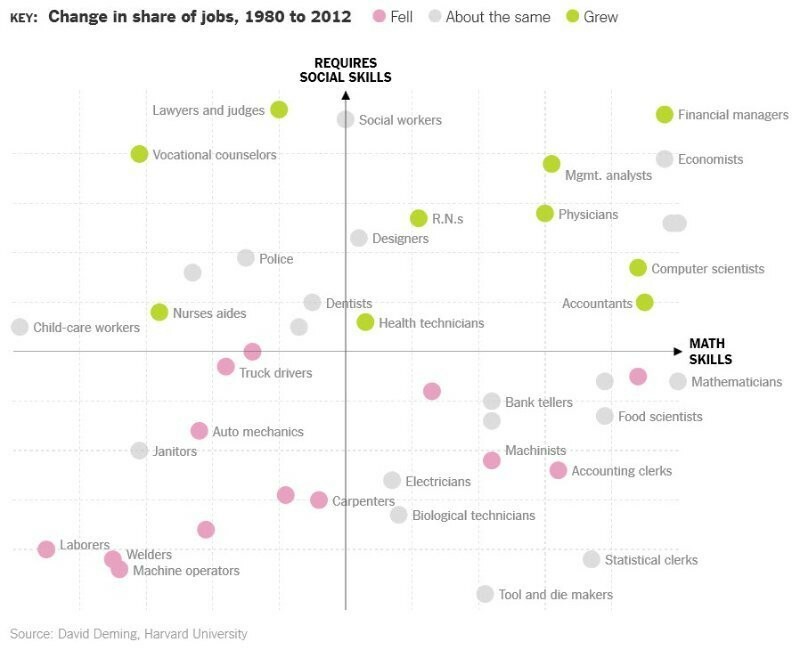 When it comes to teachable skills, maths and computing hold sway, with greatest job growth concentrated in industries such as engineering, programming and finance, as shown in this World Economic Forum chart. 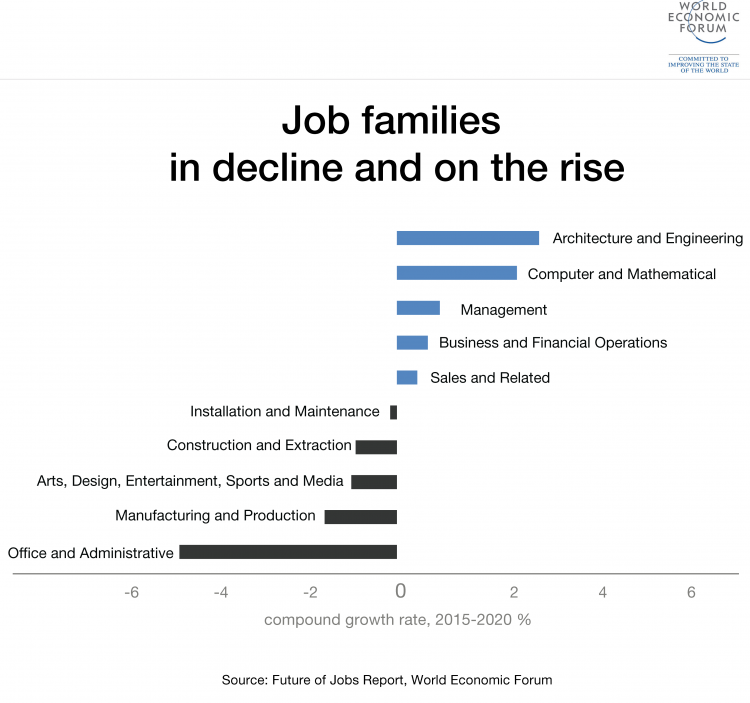 But as job families grow and decline, one factor becomes consistently more important: our skills. In fact, the skills we learn in the workplace will have more bearing on our future employability than the places where we studied or the previous positions we’ve held, according to the findings of the Human Capital Report 2016 . And this isn’t limited to the skills we’ve already learned, but includes those we will learn, and want to learn. For many employers, this “learnability” is key, explains Mara Swan of Manpower Group . Research by the global employment agency has found that millennials value new skills so highly, many are willing to spend their own time and money to acquire them. For companies, meanwhile, finding and retaining employees who can and want to learn is seen as a way to future-proof the business. So, which skills should we learn? Analytics, accountancy and computer science are all probably safe bets when it comes to mastering an unknowable future, according to a study by David Deming at Harvard University. But while technical ability might get you into a job, they’re only half of the picture. According to the same Harvard study, the jobs that have grown most consistently over the past two decades are those combining strong technical know-how with a single powerful characteristic: being nice. Social skills, or the ability to “play well” with others, is vital, finds Deming. This chart show how jobs requiring both hard and soft skills have grown over the past 20 years, while those requiring neither, such as machine operating and cleaning, are on the wane. But it’s not just employees who need to worry about brushing up on the skills front: companies too, must find ways to hire and hold on to their best people, whether it’s hiring more female leaders, engaging their ageing workforces or learning from the dynamic initiatives currently deployed in emerging economies in the war against the global skills gap. This series of articles looks at both perspectives on future skills: that of employer and employee, and asks a collection of authors, employment experts, policy-makers and CEOs what new jobs we may be heading towards – and which skills we’ll need to succeed at them. Have you read? This skill could save your job - and your company 7 science-backed skills that will make you love your job How do you get a job that doesn't exist yet?